Carriage Bolt Caps$4.99White pvc carriage bolt caps fit over threads of 3/8" carriage bolts. 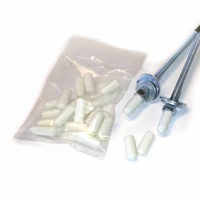 Simply slide the 1 inch long caps over the threaded ends of carriage bolts as a safety measure and thread protector. Made from soft, flexible 75 durometer PVC. 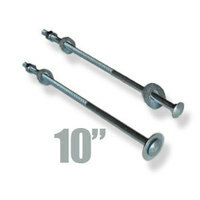 Carriage Bolts 10" x 3/8" 24/box$15.9510" x 3/8" zinc plated carriage bolts with 7 inches of thread. Packaged with two flat washers and a hex nut. 24 sets per box. 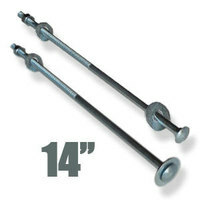 Carriage Bolts 12" x 3/8" 24/box $21.9512" x 3/8" zinc plated carriage bolts with 7 inches of thread. Packaged with two flat washers and a hex nut. 24 sets per box. 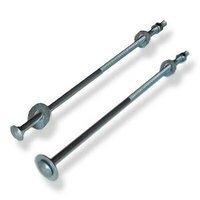 Carriage Bolts 14" x 3/8" 24/box $23.7514" x 3/8" zinc plated carriage bolts with 7 inches of thread. Packaged with two flat washers and a hex nut. 24 sets per box.